Two significant computer bugs – Meltdown and Spectre made headlines last week. Microsoft has published a number of security updates for all supported operating systems to protect from Meltdown and Spectre attacks. The updates include for Windows 7, Windows 8, and Windows 10 via Windows Update. 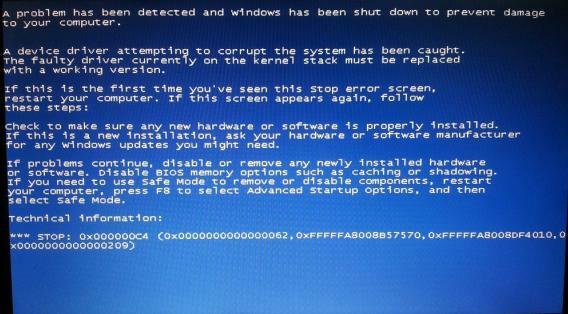 Unfortunately Windows 7 with AMD CPU users, who install KB4056894 on PC running the operating system may experience cause Blue Screen of Death (BSOD) issues. The operating system gives stop 0x000000C4 check error. Microsoft is aware of this issue and currently is temporary pause sending the Windows operating system updates to devices with impacted AMD processors. On system startup, press F8 key or Space bar to open the startup settings. 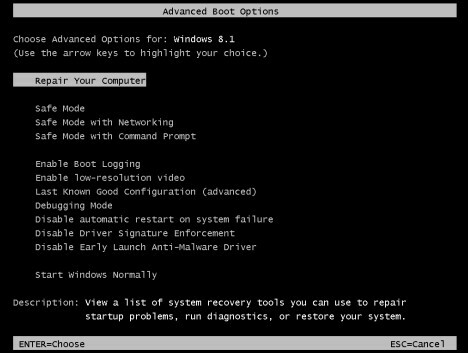 Open the command prompt and copy/paste below commands (one by one). Once completed, the system will uninstall the patch and remain function state.